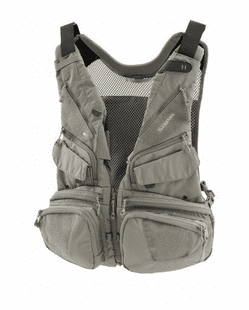 The Caddis Fly Shop can deliver the Fly Fishing Vest to suit your most personal technical specifications, in the right size and pocket configuration. 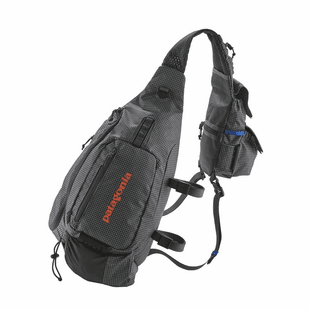 We also carry and Personal Floatation Devices - PFDs. 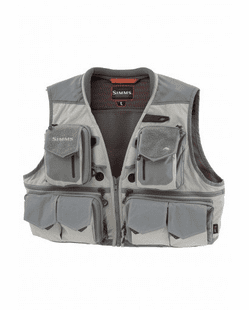 Most of these fly fishing vests will ship free, promptly, with no sales tax. 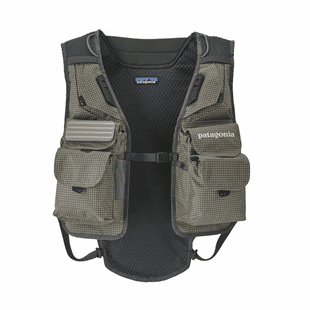 Fly fishing vests are the lifeblood of an angler�s essential stream and lakeside attire. 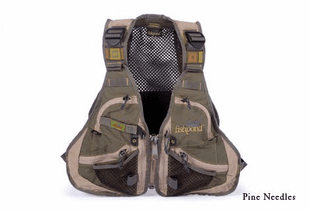 Add personal flotation devices (PFDs) to the list and it amounts to the �don�t leave home without it� category. 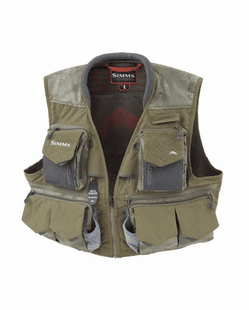 With this in mind, we inventory a wide selection of fishing vests including Simms, Patagonia, Fishpond, William Joseph, and Redington. 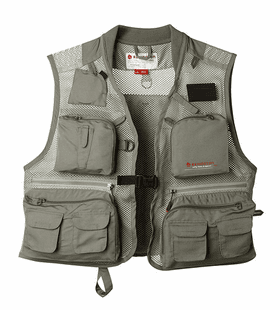 The traditional fishing vest was something our older staff members grew up with. 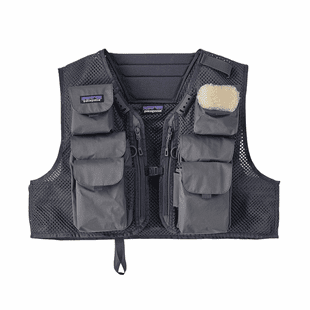 Our mature Pro Staff members all had their favorite fly fishing vest. Today, we have many choices regarding how we carry our spare fishing gear. 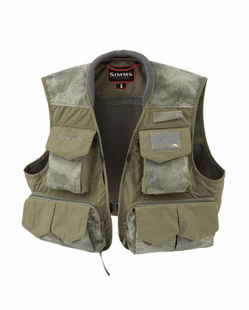 We have fishing vests. 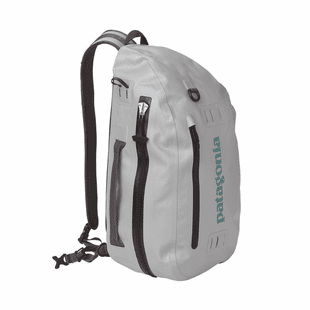 We have fanny packs, chest packs, raincoats with pockets on the pockets, and sling-packs. 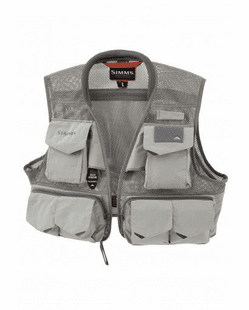 We have great fishing vest alternatives manufactured by Simms, Patagonia, William Joseph, Fishpond, Sage, and Redington. 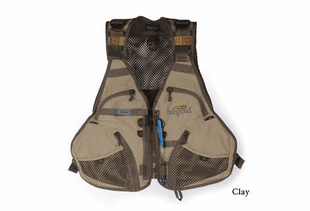 We provide a selection of the fly fishing vests that our Pro staff at the Caddis fly use, day-in-and-day-out. 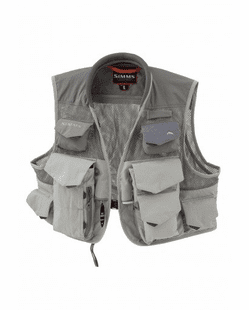 These are all quality fishing vests, packs that range from the functional and inexpensive to the advanced, cutting edge technical gear that our most passionate customers gravitate to. 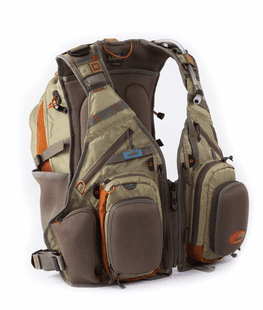 We encourage you to browse this section and also check out the Chest and Hip Pack category to see some of the alternatives we have in our inventory. 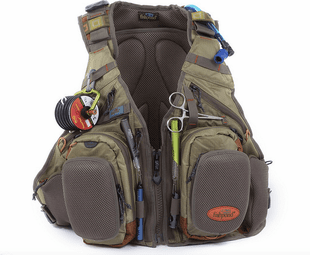 In an ideal world, one would have hip packs for flats fishing, a light vest for high mountain stream fishing, a winter steelhead sling pack, a fall salmon wheelbarrow, and a high lakes chest pack for belly-boating. 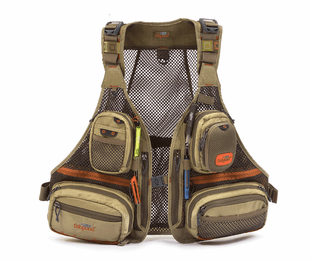 Some of our clients do, in fact, dedicate different vests and packs for different fundamental fishing seasons or species. That sort of passion and forethought is good for their peace-of-mind and the Caddis Fly Shop. 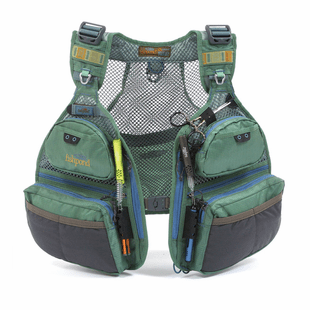 Each of these vests and packs has good features and offers good value. Our customers may have allegiance to a particular brand or style or be shopping with specific price in mind. In any case, we will be happy to help make a selection that makes most sense for your needs, fit, and preferences.